Shine all summer with Fabulous highlights! Create-A-Cut has been cutting and styling hair for the whole family since 1982! We specialize in hair styling services including color treatments, cuts, perms and updos, alongside salon services like body and facial waxing. With fully licensed Cosmetologists and a great range of brand-name hair care products, we’re your all-in-one destination when it comes to looking and feeling your best! Color, Cut and Style Your Hair in Way That’s Unique to You! Are your roots showing? Has your hairstyle grown out into something completely different? Is it just time for something new? At Create-A-Cut, each time we pick up our scissors, we make magic happen! We’re not just another hair salon in Norwich, CT—we’re the place people come to discover their style! Whether it’s a quick trim, a sassy new style or a bold new color for your hair, our stylists will help you get the look that defines you and helps inspire bold confidence in your appearance. We’ll make sure your hairdo turns heads and drops jaws—even if it’s just the usual cut or color, our experience will make sure you look your best. At Create-A-Cut, we believe in communicating with our clients. By getting to know your vision for your hairstyle, we’re able to do our best job as a hairdresser in Norwich, CT. We can even help you figure out exactly what you want—from balayage coloring, to a unique updo style, to color correction for a dye-job gone wrong. Our goal is to be the only salon you trust when it comes to your hair, because we produce excellence each and every time you see us. Don’t forget about special appointments, either! 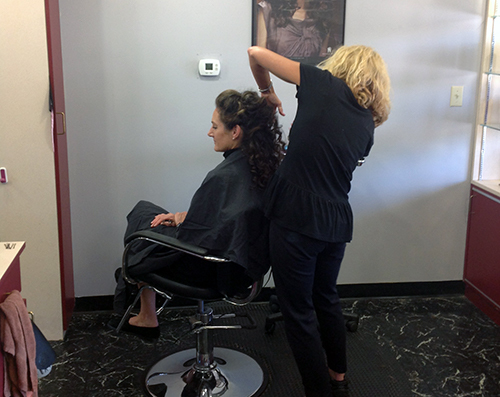 If you’re headed to a formal event, come and see us about waxing and specialty hair styling. We promise you’ll love our laid-back environment and personable stylists. Experience our salon for yourself today! We specialize in color treatments, offering everything from free lighting to balayage, natural colors to luminescent tones! Our salon services are available for the whole family and we’re up-to-date on all of the latest styles for men, women and children. All of our stylists have Connecticut Cosmetology Licenses and years of experience. We’re confident in our ability to deliver the style you love! When it comes to hair care products, we’ll match all advertised prices or coupons to stay competitive, so you can always count on us for your total hair care needs. We offer consultations by appointment and always welcome walk-in customers upon availability. Get a hairstyle that stands out! Create-A-Cut will cut, color and style your hair to help you look your best and boost your confidence. Schedule a consultation today or drop by for a walk-in appointment.